Years ago after completing my high school education, I found myself in a lock- not knowing what would be of me moving forward. I had no desire to join college because I did not know what I wanted to do with my life: a jack of all trades they called me. A new school year came and all my peers joined colleges, some got jobs while other traveled overseas. I stayed home browsing university catalogues and searching deep within me, what I desired to be. See, when I was young, I would be asked “what would you like to be when you grow up?” and I would answer “a doctor” and every year as I grew older, a doctor changed to an engineer, a chef, a president, a pilot, a neurosurgeon and a lawyer because I liked how they dressed. Now that I was grown up, none of those careers appealed to me. Here I was, everyone had started college, and I was back in Kenya, all alone, no friends at the time, away from my family who were residing in another country and no job. This was the season of my life where I needed God to speak clearly to me about what plans he had for my life. I felt so lonely, confused and lost. One of the huge problems I had was food, I operated on a little budget and sometimes no budget at all which meant that I would not get enough food and I would not call home to ask for money because I had spent the previous pocket money badly. One night while browsing through the internet, I discovered a children’s home that was next to my house that were looking for volunteers in their Kitchen, no pay but they would feed us. I went in the next day and it was my interview day and commencement of work. Thomas Barnados children’s home would be the place I would spend three months of my life everyday from 8am to 5pm, preparing meals and serving more than 500 kids food every day. This is where I made my first friends in Kenya, this where I was fed every single day, breakfast ,lunch and dinner for free but most importantly, this is where I learnt how to change babies diapers. I still remember a man called Joseph, the chief cook then. Joseph taught me how to professionally chop onions, tomatoes and meat. He knew his way around pots, pans, knives and fire. He loved and enjoyed making food for the staff and kids at the home and being in a kitchen is what made him come alive, he shared with me that every day he woke up so early because he wanted to be at his kitchen as he called the school kitchen. Beyond cooking, Josephs and I had many life conversations; he challenged me to view every state of my life as lesson and journey to my purpose and also spoke life into me. Not only was he older than me but also shared a name with my dad therefore I had so much respect for him and everything he said mattered. It was in this Kitchen, that my dreams began to be cooked, ideas , thoughts about my future but the greatest lessons I learned from Joseph, was to always cast my cares to Jesus. At the end of every day, I was filled with so much hope and encouraged by Joseph who still remains to be part of God story for my life. I believe that God has our best interest at heart; He is for us and anything that will help us get closer to him. Every situation we are in and every person we meet and come into our life to serve as a tool that God uses to shake us, teach us, and propel us to Gods purpose for our lives. My encouragement is that we may see God in everything and everyone. 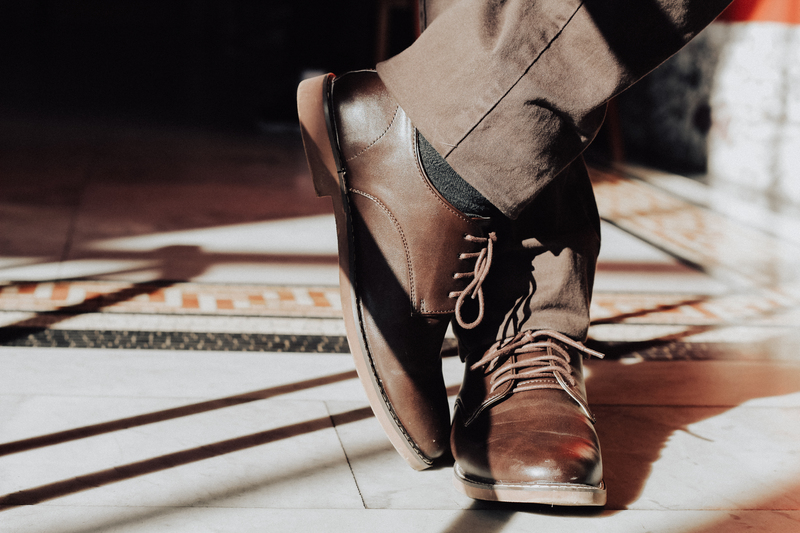 Next Post ASK MY SHOES :Part 2 What in the world are you doing in children's ministry ?